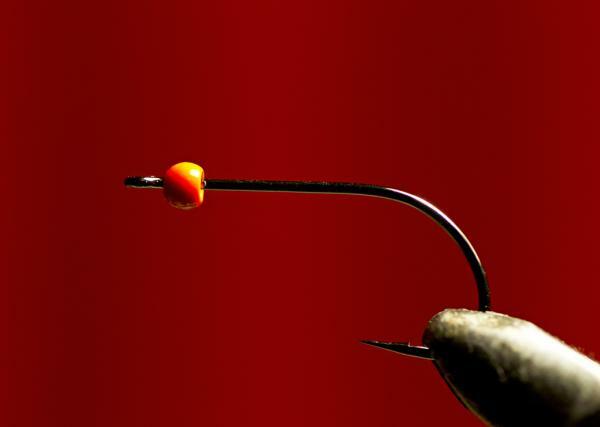 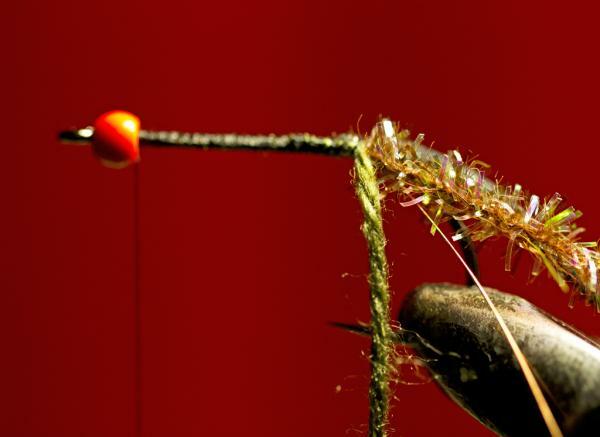 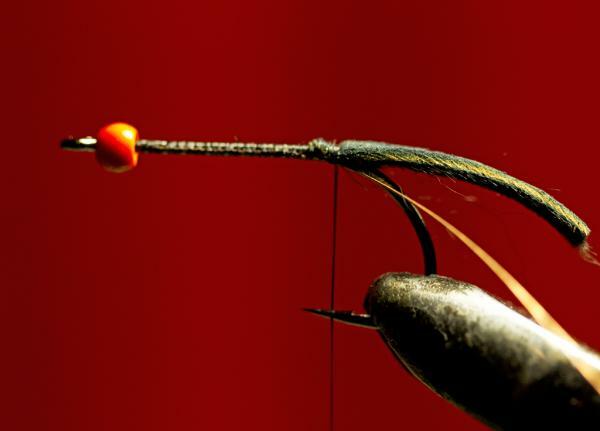 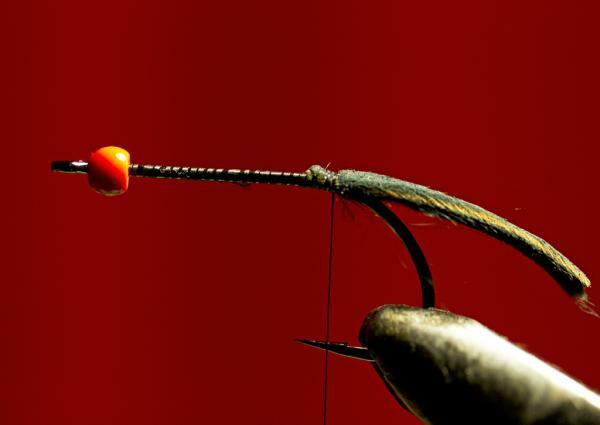 1 Squash the barb on a 2 B10 Stinger hook and place a large hot orange on the hook. 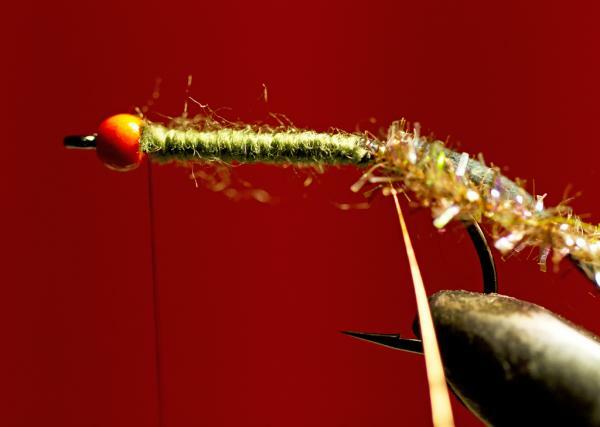 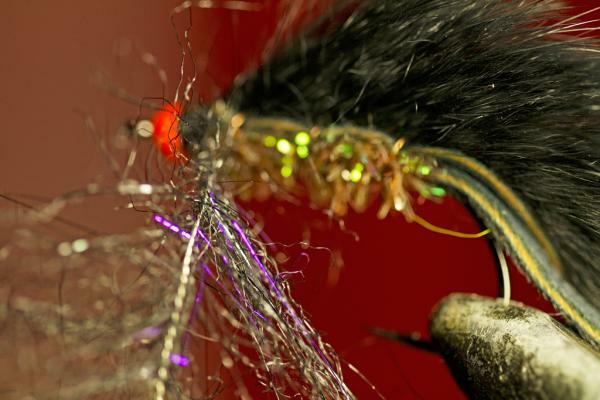 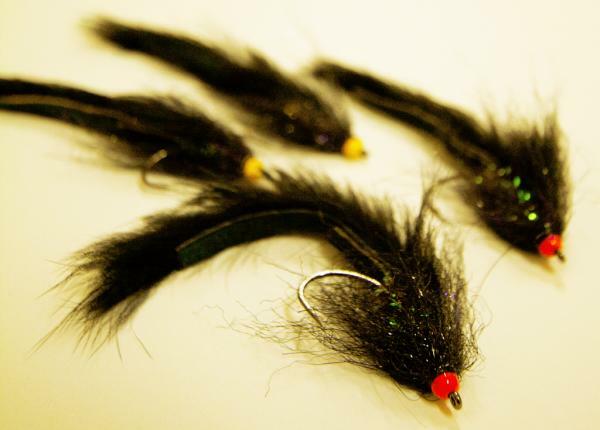 2 Wrap the thread onto the hook shank and tie in the stripped zonker piece that will serve as an undertail. 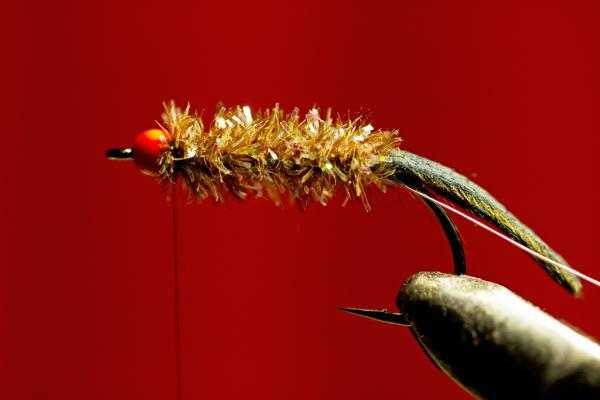 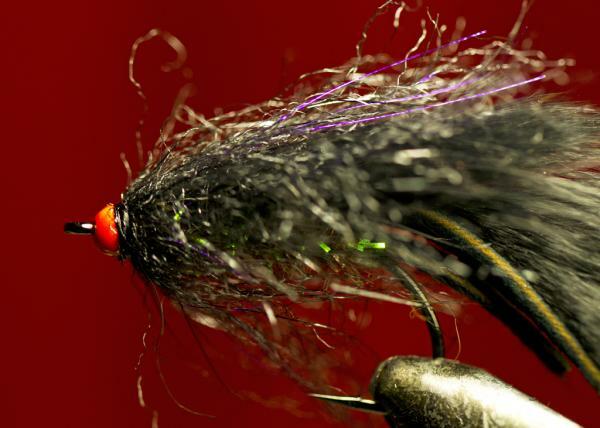 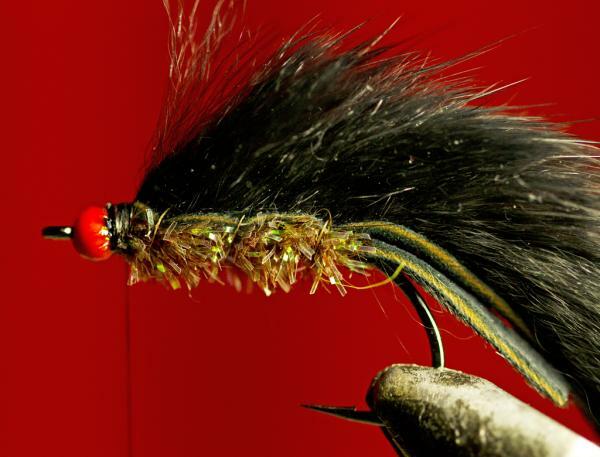 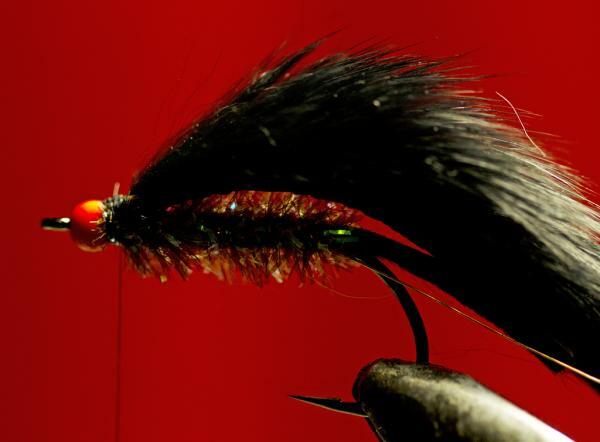 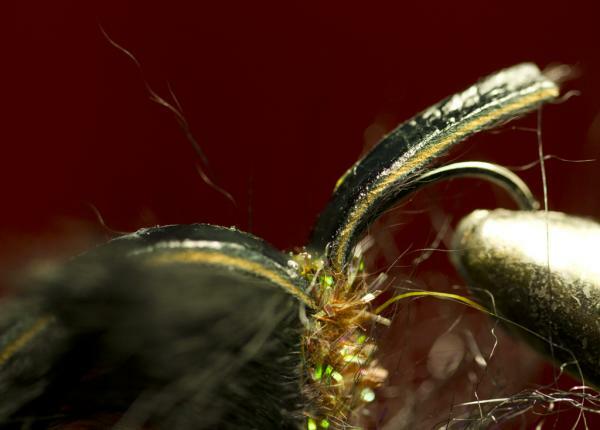 10 Wrap the brush forward and tie off onto the bead - I specifically tie it off onto the bead to make the hot orange more subtle in this fly. 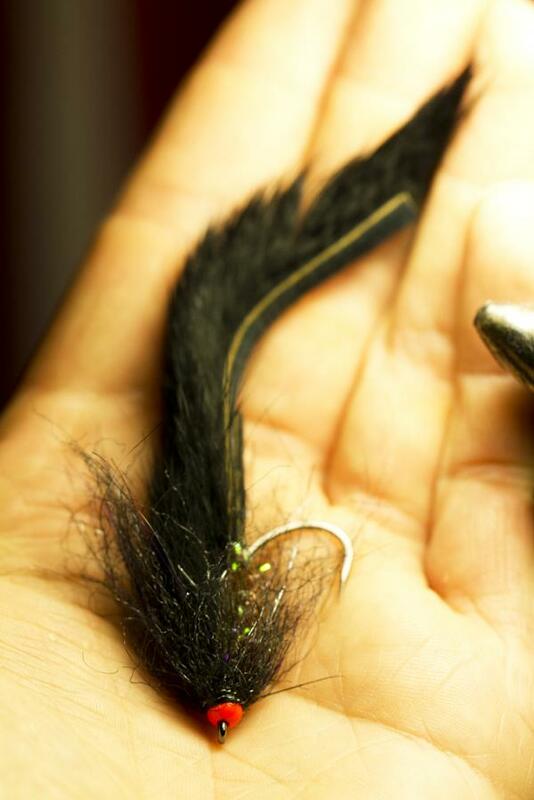 12 The finished product after the tail zonker strips have been glued together.